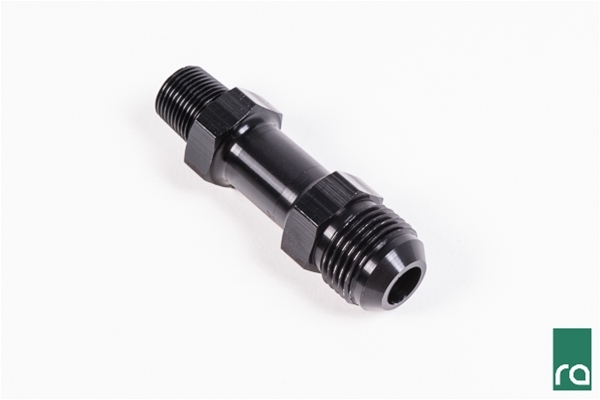 This specially machined aluminum fitting replaces the stock PCV valve on top of the Toyota 4U-GSE and Subaru FA20 engine blocks. These engines are found in the 2015+ WRX and the Scion FR-S/Subaru BRZ/Toyota 86. 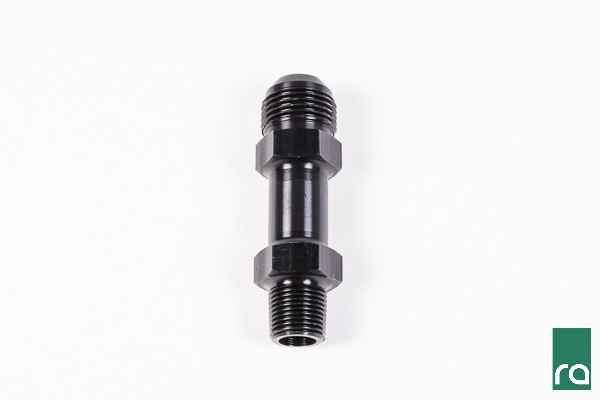 This black anodized 6061 aluminum fitting converts the threaded hole in the block to a -10AN male fitting. The fitting has an overall height of 3.1". Always apply a small amount of PTFE thread sealant before installing. First, hand tighten the fitting. Then, use a 7/8" deep socket wrench to spin the fitting another 1.5 to 3 turns.